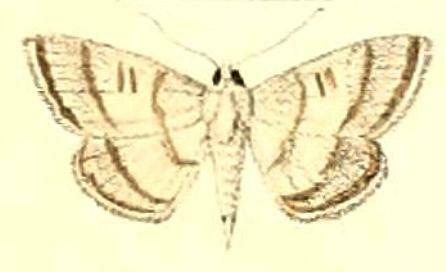 The adult moths of this species are dark brown, with a vague white triangle on the costa of each forewing. The wingspan is about 1.5 cms. 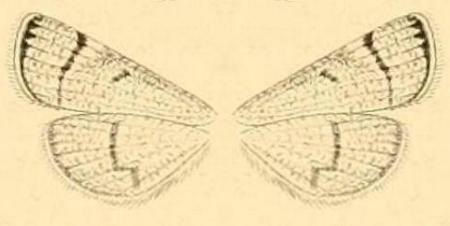 The species now called Cangetta hartoghialis was described by Snellen from the above specimen taken in Neder Guinea (now Democratic Republic of Congo, Africa). 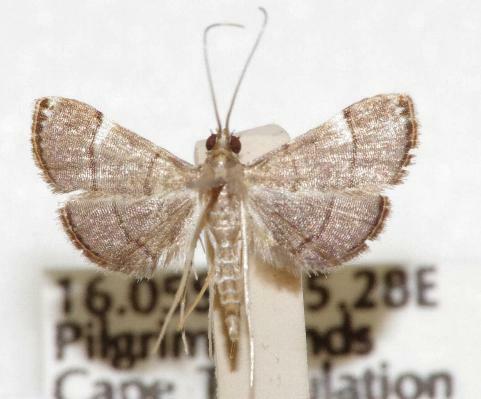 The next specimen named Cangetta rectilinea by Moore from Ceylon (now Sri Lanka), and later specimens from China and Australia, are currently thought to be the same species, but DNA evidence may yet prove they are different. 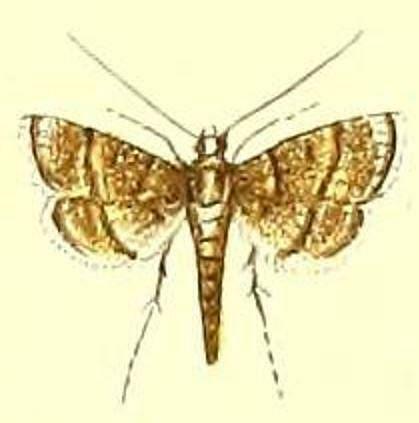 The underside is similar to the upper surface. 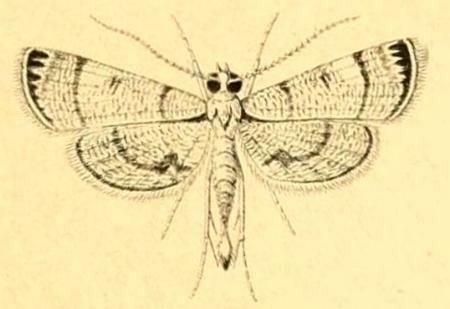 Part 9 (1893), p. 176, and also Plate 174, fig. 12. L. Reeve, London, 1886, pp. 314-315, and also Plate 182 fig. 8. Volume 15 (1872), pp. 97-98, No. 84, and also Plate 7, figs. 6, 7. Series 7, Volume 8 (1901), p. 135.